It is the purpose of this chapter to discuss the physical and chemical properties of organic polynitrates of pharmacological interest (Fig. 1). 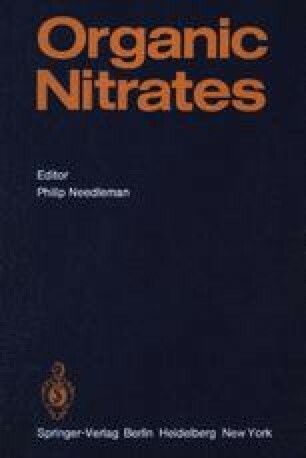 This chapter is not designed as a thorough review of the chemistry of all organic nitrates, most of which have been prepared for studies of explosive properties. For more complete reviews and more theoretical considerations the reader is referred to the reviews by Boshan et al. (1955); Cannon (1970), and the books by Urbanski (1965) and Smith (1966).